Because for this week, I'll be doing a 2-in-1 review using a FOTD look (inspired by summer) I created recently. 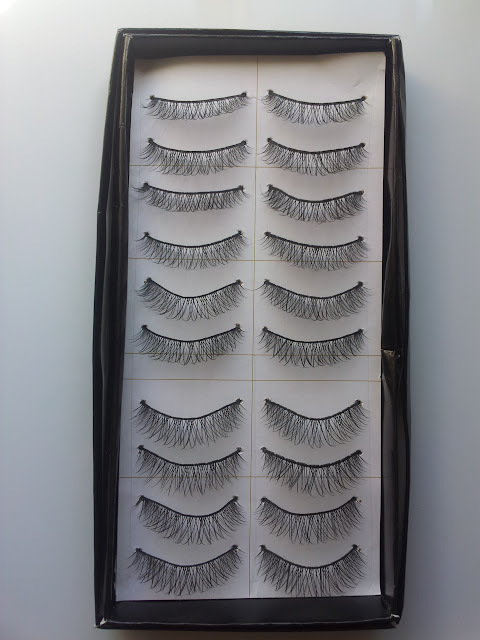 A pair of lenses and a pair of false eyelashes... both go so well together and saves me from taking separate pictures for review and blogging. For the first time in like... ever, I managed to snap a few pictures outside in my backyard. Nothing too fancy but I just thought that it would be appropriate to be taking 'summer' shots outside while it's still summer over here. I used my Maybelline Hypershine Diamonds palette which I got last year here and for me the warm, fiery tones reminded me of summer. What I love about it is that it's great for both day and night - neutral yet vibrant colours! 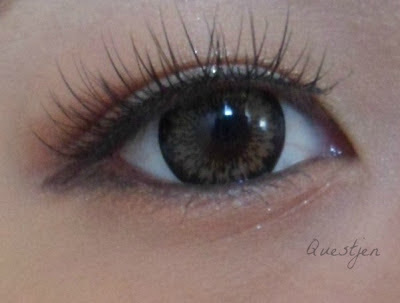 Anyway, about the lenses that I am wearing, they are the EOS Fuzzy Petal Brown lenses from MukuCHU and I noticed that the pattern is quite similar to the GEO Angel Brown lenses. Though compared the the Angel Browns, these are much lighter and are more on the 'yellow' side. With the black limbal ring and a diameter of 14.7mm, these lenses are perfect for that dolly look. However if you are aiming for a more exaggerated dolly look, lenses that are 15-16mm would be a better choice. I wouldn't say that these are natural-looking but for someone who is aiming to have doll-like eyes without creeping people out to the max then I would totally recommend these. They aren't too outrageous and dramatic. At first I was having a bit of trouble with these lenses (stung and felt that they didn't 'fit' properly) but after changing the soaking solution and using eye drops, they were comfortable to wear and I had no issues with them afterwards. Simple design yet pretty - love 'em! New favourite lashes right now are these! There's not much more to say about them; the images speak for themselves! I would definitely recommend and for only $6.49 for 10 pairs, it would be so worth it I swear :D And you can get an additional 10% off with the promo code 'QUESTJEN'. 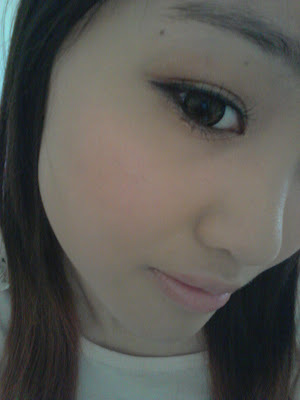 Which do you prefer - circle lenses or falsies? My answer: Falsies of course! Grr fringe strand, I hate you! Beautiful pictures. I am a huge fan of lashes, I love the way contacts look, but can't get over my fearing of stabbing myself in the eye or them being uncomfortable. Then I realized if I put them in I'd never get them out. I'm insanely awkward. ._. I used to have that fear too, but with time and practice I was able to overcome it! I know, it's hard for me too xP But woo, high five! How is your hair so soft looking?~ Ahh! Aww it really isn't ^^" I straightened it beforehand to make it look less messy etc! Regarding your QuestJen - What would you do if I came up to you like this and tried to hug you?